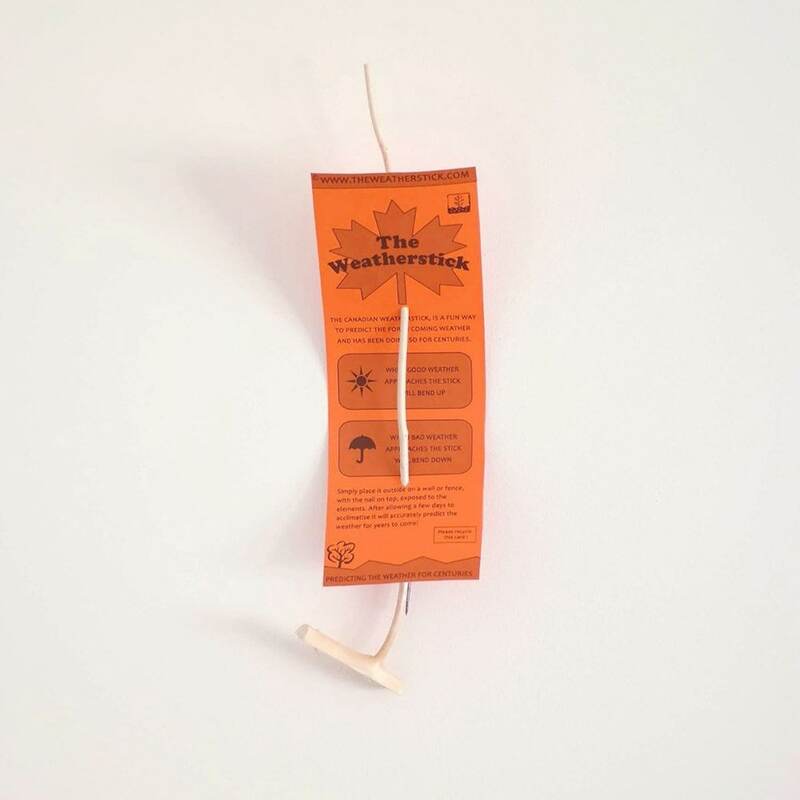 Buy The weatherstick: <br><ul><strong><li>100% natural and biodegradable</li><li>Predicts fine or foul weather</li><li>Unique gift idea</li></strong></ul><br>Never be caught out in the rain again. The Canadian weather stick has been reliably predicting the weather for Canadian pioneers for centuries.<br><br>Made from balsam fir, the stick points upward to herald the arrival of warm, sunny weather, but downward when rain is on the way.<br><br>All you need to do is hang the stick on an outside wall exposed to the elements. After taking a few days to acclimatise, the stick will accurately predict the weather for years to come.<br><br>A novel gift idea for gardeners and amateur meteorologists alike. Never be caught out in the rain again. The Canadian weather stick has been reliably predicting the weather for Canadian pioneers for centuries. Made from balsam fir, the stick points upward to herald the arrival of warm, sunny weather, but downward when rain is on the way. All you need to do is hang the stick on an outside wall exposed to the elements. After taking a few days to acclimatise, the stick will accurately predict the weather for years to come. A novel gift idea for gardeners and amateur meteorologists alike.